When you visit Branson, you expect everything to be special. The Village at Indian Point doesn't disappoint. It is beautiful, peaceful and has every amenity you want. 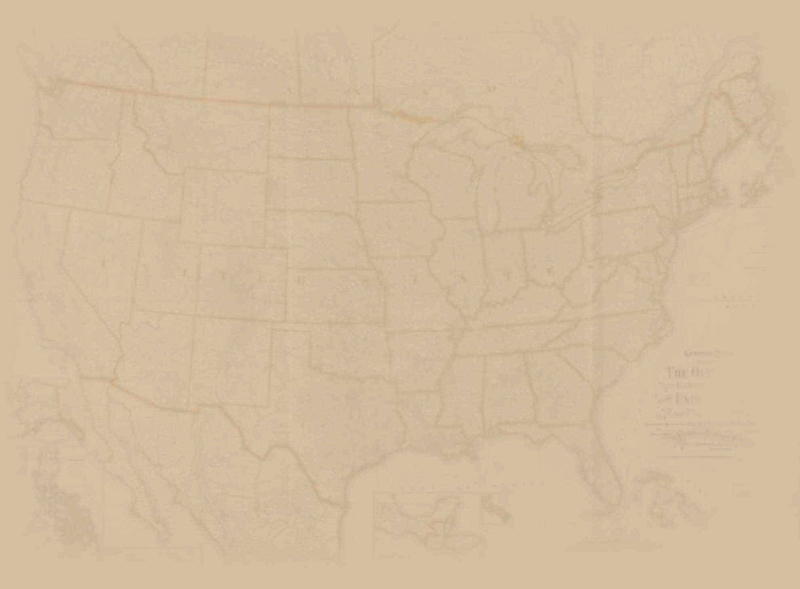 To top that, it is located close to Silver Dollar City. It's not technically in the city of Branson but is located on beautiful Table Rock Lake on Indian Point Peninsula. 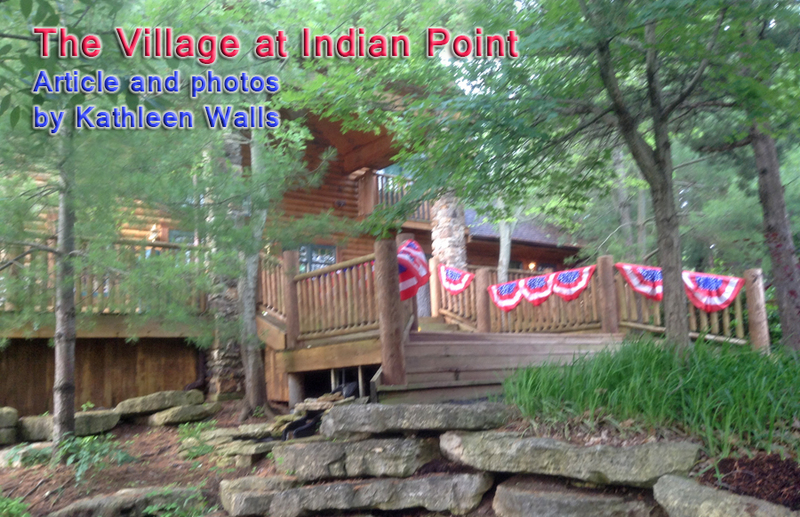 I stayed at the Village at Indian Point on a recent press trip and enjoyed every minute I spent in my lodging. 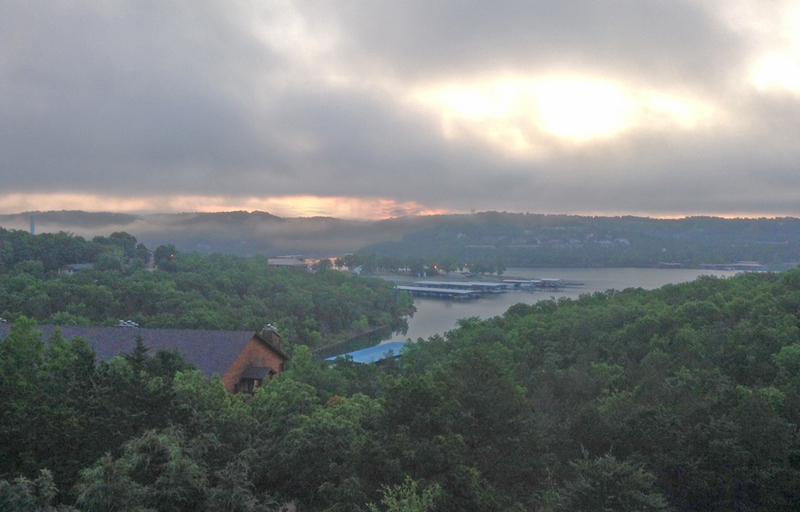 Waking up and looking at the sunrise over Table Rock Lake was an unforgettable treat. 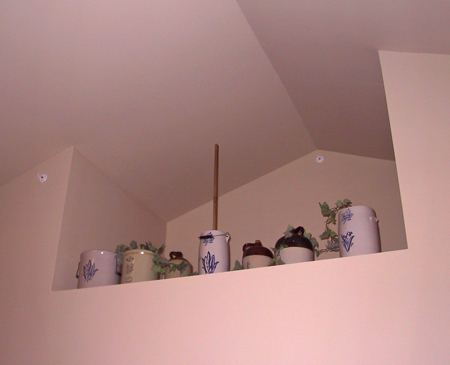 I was in an upstairs condo that had everything I needed and then some. If the song The Devil is in the Details can be believed, this place is devilishly good. Details are carried out perfectly here. Like the artistic arrangement of pottery in an alcove near the cathedral ceiling and the matched art on the walls of the condos. 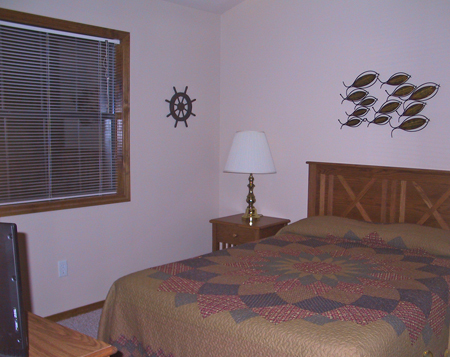 The decor was perfectly matched right down to bedspreads and knick knacks. Another detail that is important is that the kitchen is stocked with everything but groceries. This can be a tremendous money saver for a family who can easily cook instead of eating out every day. For a business traveler, it means you don't have to go out for a snack or hunt down a vending machine if you want a cup of tea or a soft drink. There's even a washer and dryer. What a view at sunrise! My balcony provided a perfect view and a great spot to sit and relax. For winter visitors, the fireplace is a real plus to add atmosphere. 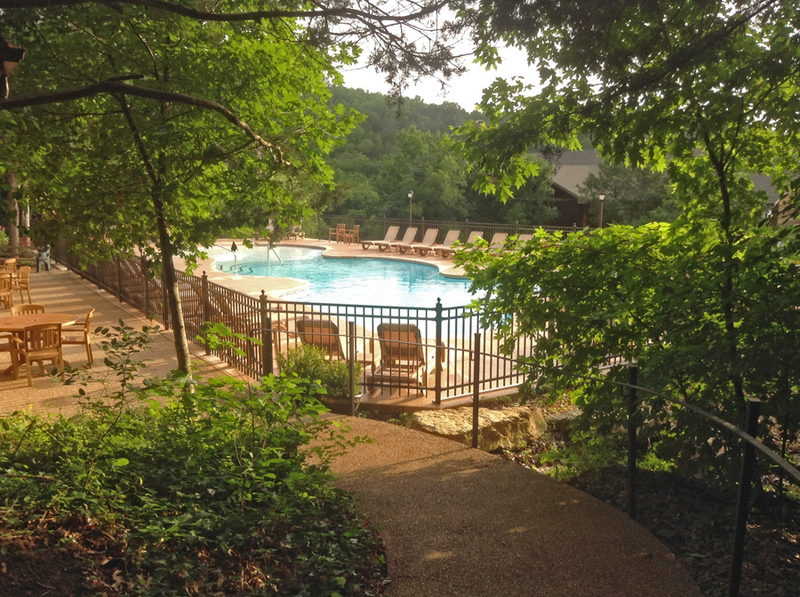 The short walk to the lodge office where the pools are located is beautifully landscaped. Yes, that's pools plural. 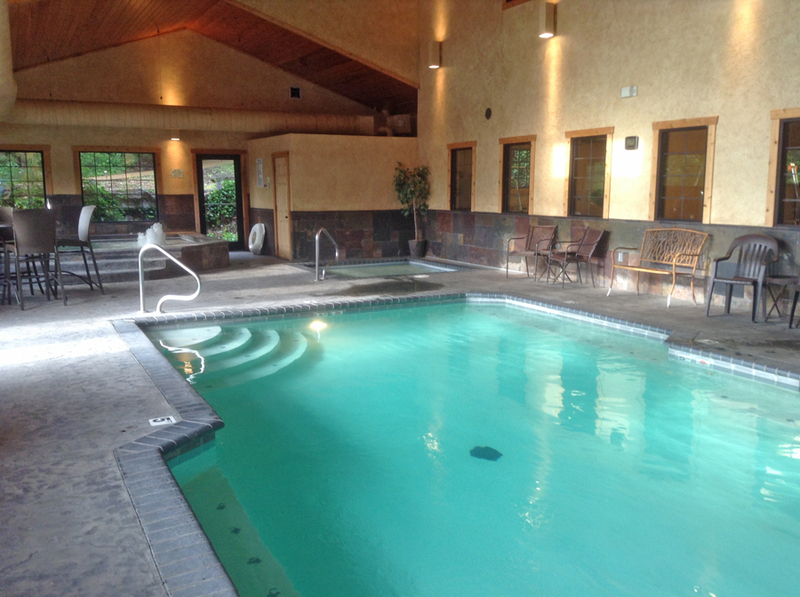 There is an outdoor pool, a kid's pool, an indoor heated pool and a spa with a hot tub. If that isn't enough water features, the fitness room has a huge sauna there. For kids of all ages, there is a game room with a pool table, a Star Wars pinball and assorted video games and lots more. Parents of teenagers, beware you may not be able to tear them away from the game room to go to Silver Dollar City. 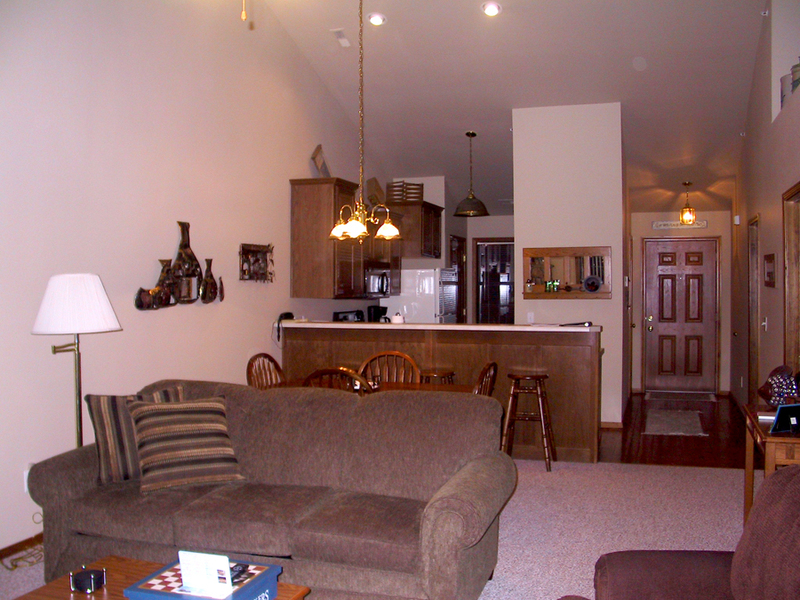 For the business traveler, there is a business center and wifi is available in all the condos. I loved my stay there: it was a real home away from home.